Where else can you get excited seeing the backside of water and Trader Sam selling shrunken heads? Jungle Cruise of course! 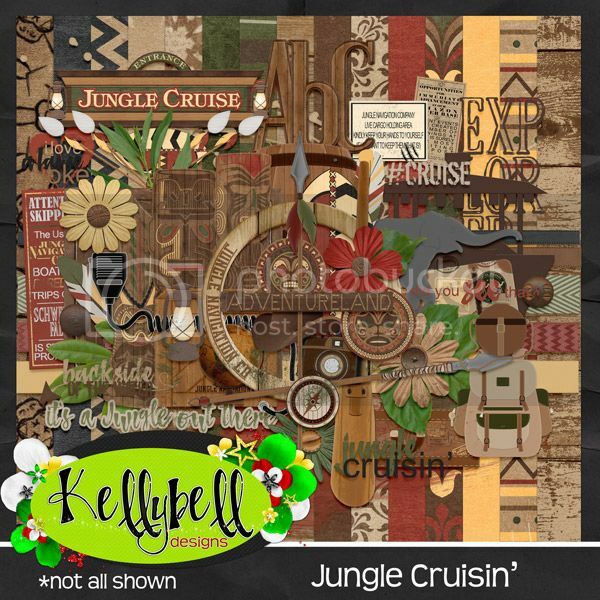 This week Kelly has a jam-packed kit called Jungle Crusin' to scrap everybody's favorite classic ride. 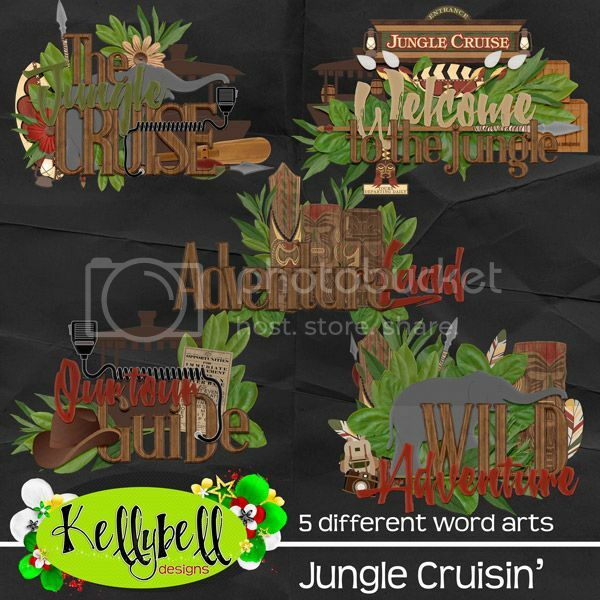 The kit is also versatile enough to create pages for Adventureland and other exotic areas of the park and resorts. Make your collection complete by adding on the Page Starters, Journal Cards and Word Art. The kit is overflowing with themed elements like totems, masks, backpack, barrel, boat, camera, canteen, crate, elephant, hat, lantern, paddle, radio, shield, signs, spears, suitcases, fun word strips and more! 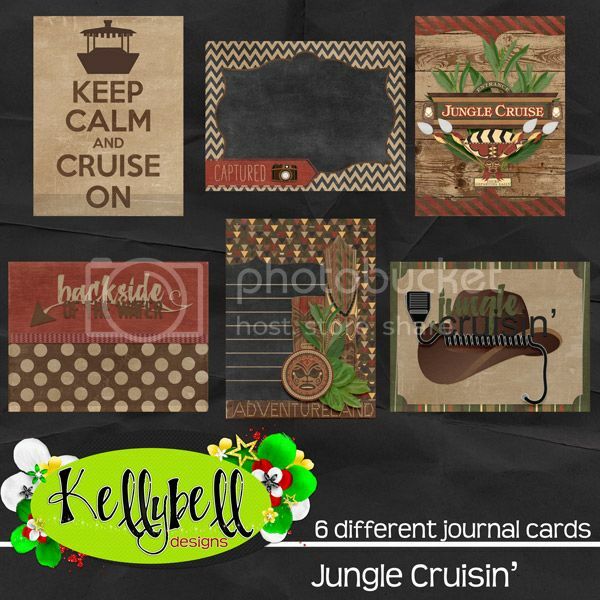 Earth tone and wood papers and a sleek wooden alpha make this kit a must have for your scrapping stash! 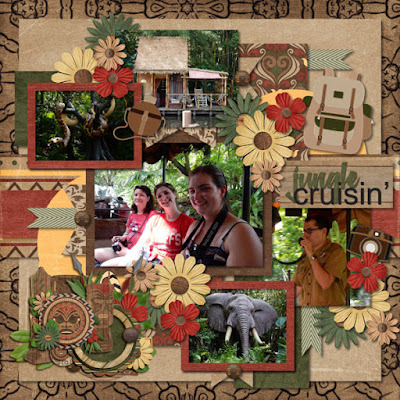 Now how about some cute freebies to coordinate with Jungle Crusin'? You can find them at Jenn's blog, Lisa's blog, and Roxana's blog. Have a great weekend and happy scrapping!